1. Click the ‘Add to Cart’ Button of the product you want. 2. A confirmation message will appear at the top of the page. 3. The ‘View Cart’ link (http://www.filmandtvfavourites.com/cart/) in the top menu can be clicked at any time you want to view your cart. 4. From the view cart page you can change quantities (including entering ‘0’ or clicking the red ‘x’ if you want to remove something completely). 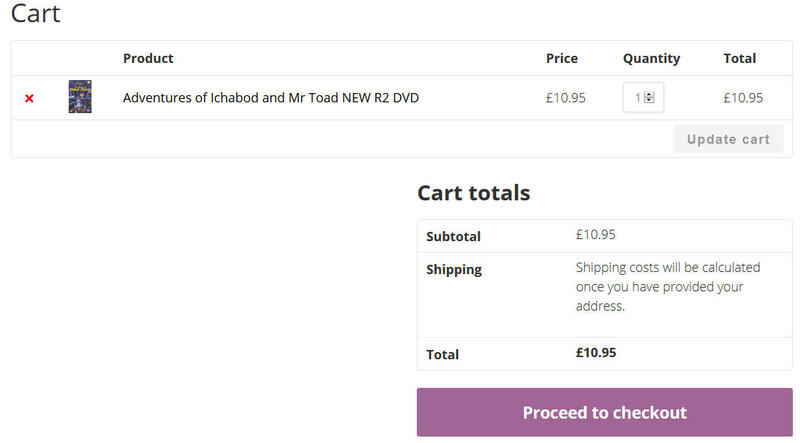 Click the ‘update cart’ button after any changes and the ‘Proceed to Checkout’ button when you want to checkout. 5. 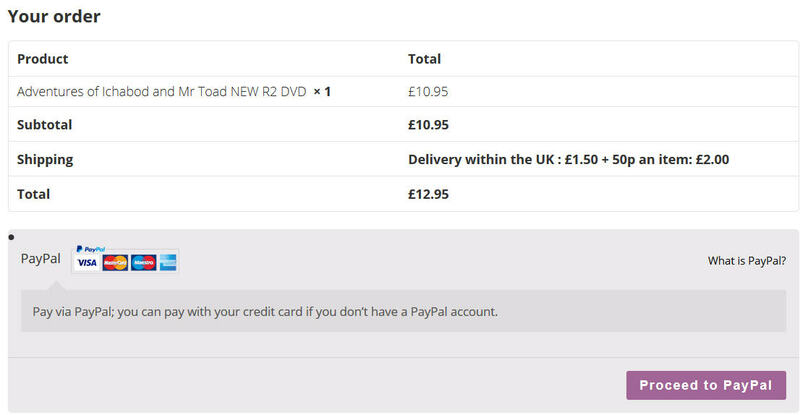 On the checkout page you will enter your name and address (or login if you already have a film and tv favourites account). A little further down the page will be the order total and at the bottom the payment button ‘Proceed to Paypal’ (you can pay with your credit card if you don’t have a PayPal account). 6. 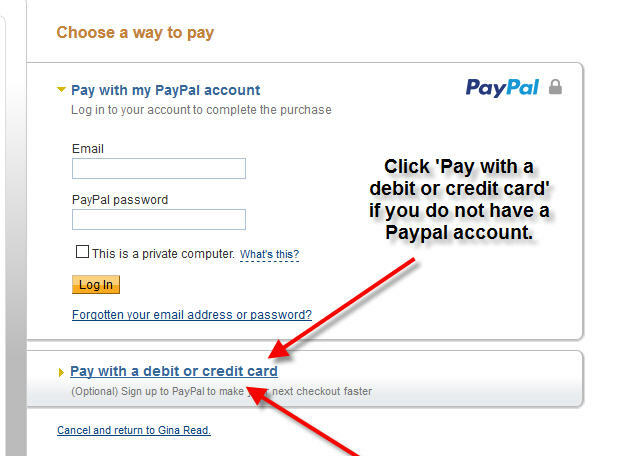 You will then be taken to PayPal’s secure payment page where you can choose to pay by paypal or with a credit or debit card.